Phyllis Elsing, 85 of Twin Falls passed away peacefully on January 21, 2019. Phyllis was born November 25, 1933 in Coffeyville, Kansas. She was the daughter of Loren M. Page and Nadine Lucille Bryant-Page, a loving mother of three boys and one daughter. A grandmother to 7 grandchildren and a great grandmother to 13. She loved nothing more than spending time with her family. Phyllis graduated from Twin Falls High School in 1951. She was a homemaker for many years and then worked at Lamb Weston (Conagra) for 28 years, where she retired from in 2005. Phyllis was a member of the First United Methodist Church and taught Sunday school there for 11 years. She was also a Cub Scout and Boy Scout Leader for many years for her three sons. She enjoyed gardening, painting ceramics, woodworking, playing pool (known as traveling trouble), dancing, and enjoyed spending time with her family watching movies or reminiscing about the fun things she did while growing up. She was preceded in death by her parents; two infant sisters; a brother, Gerrild "Jerry" Page; sister, Linda Burris; son, Randy Elsing; and a grandson, Michael "Mike" Barnes. Phyllis is survived by son, Ron (Christy) Elsing; son, Don Elsing; and daughter, Lorrie (Jody) Greseth; grandchildren, Stashia (Richard) Gidican, Nicholas (Michelle) Elsing, Robyn Elsing, Gregory (Jennifer) Greseth, Geoffrey (Carol) Greseth, and April Greseth; and 13 great grandchildren. We would like to thank her private caretakers who helped in her time of need: Della, Julie, Helen, and Bonnie. 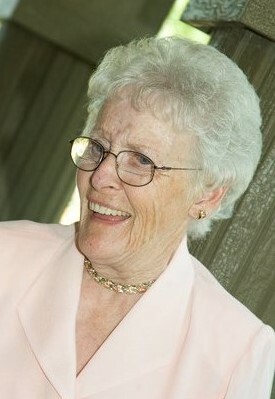 Memories and condolences may be shared with the family on Phyllis’ memorial webpage at www.farnsworthmortuary.com.